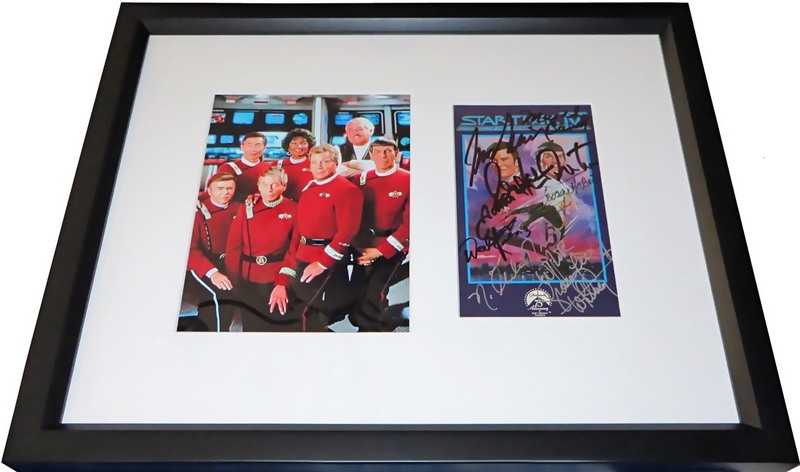 Star Trek IV The Voyage Home video box cover autographed in black or silver by 6 of the 7 main Original Series stars plus 2 secondary actors, professionally matted in white with a cast photo of the 7 and framed with glass in black wood, ready to hang. 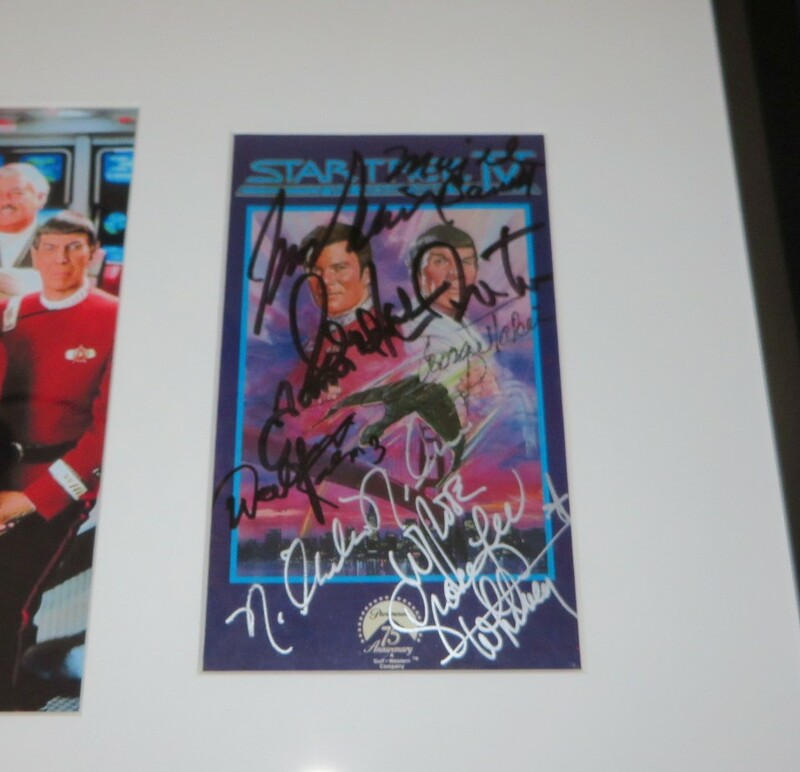 The cover is signed by James Doohan (died 2005), Leonard Nimoy (died 2015), William Shatner, George Takei, Nichelle Nichols, Walter Koenig, Majel Barrett (died 2008) and Grace Lee Whitney (died 2015). 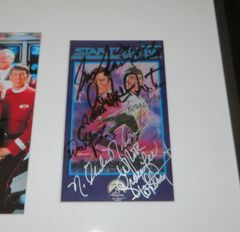 It is NOT signed by DeForest Kelley although he appears in the cast photo. 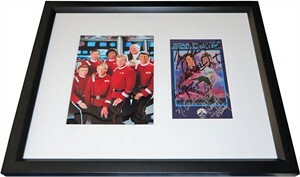 Framed size is 12 1/2 by 15 1/2 inches. With certificate of authenticity from AutographsForSale.com. ONLY ONE AVAILABLE FOR SALE.